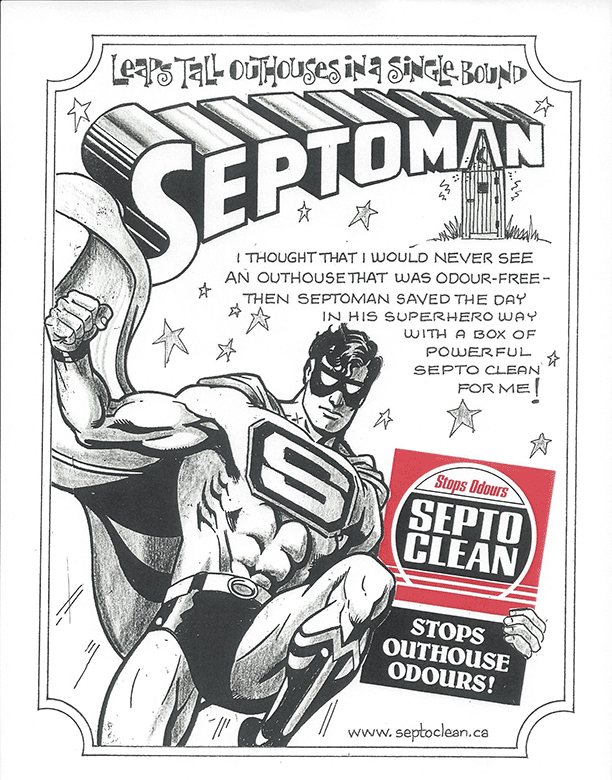 Septoman saves the day with Septo Clean! Now is your chance to get our famous and funny artoons for your own wall. We have them sized 8 1/2" x 11" on coroplast. We will mail them out prepaid - post $6.95 + GST/HST.